​The ballet "Lady of the Camellias" by the Hamburg Ballet was staged Friday in Beijing's Tianqiao Theater. A new Peking Opera production, New Dragon Inn, which has been adapted from a movie by the same name, will premiere in Shanghai, April 30. 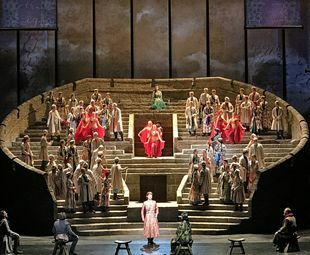 ​A dance drama based on the life story of an ancient princess in China will debut in New York this week at Lincoln Center's David H. Koch Theater.